A wine cellar is used to be a feature of luxury hotels but it has now become a prevailing feature for all hotels aiming to satisfy the refined needs of contemporary customers. 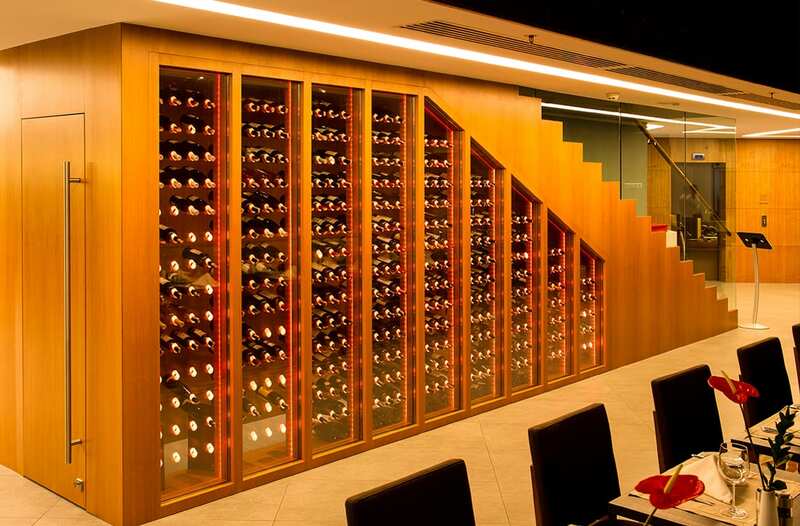 As the Hilton brand for contemporary comfort for business and leisure travellers mostly in metropolitan travel destinations, Doubletree Hotel required a modest and serviceable wine cellar. Conveniently located underneath a flight of stairs, at the entrance of the ground floor restaurant of the hotel, the wine cellar welcomes the guests and serves as a mood-setter with its coloured soft lights.